Pours a dark yellow color into a moderately cloudy, medium amber hue, topped by a frothy off-white head with excellent retention. Very sticky lacing with a wispy appearance on the glass. Floral hop aroma eminates from the glass with hints of grapefruit, but is mostly subdued. Initial taste gives an aggressive bitter hop bite located on the back of the tongue with a floral overtone and, as the taste matures, the finish taste is a slightly more subdued bitterness that gives a broader spread across the mouth. 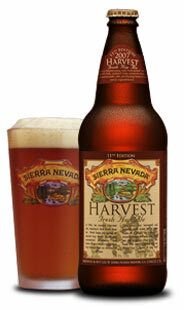 Light to medium bodied, it has a soft carbonation with a tinge of dry mouthfeel. Reviewed on January 20th, 2008.